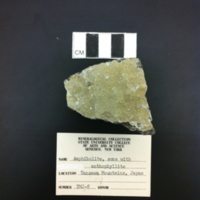 The sample is a dark greenish blue with brown layering. 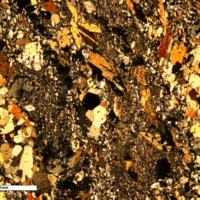 On one side of the sample there is a sand-like residue that is tan in color. 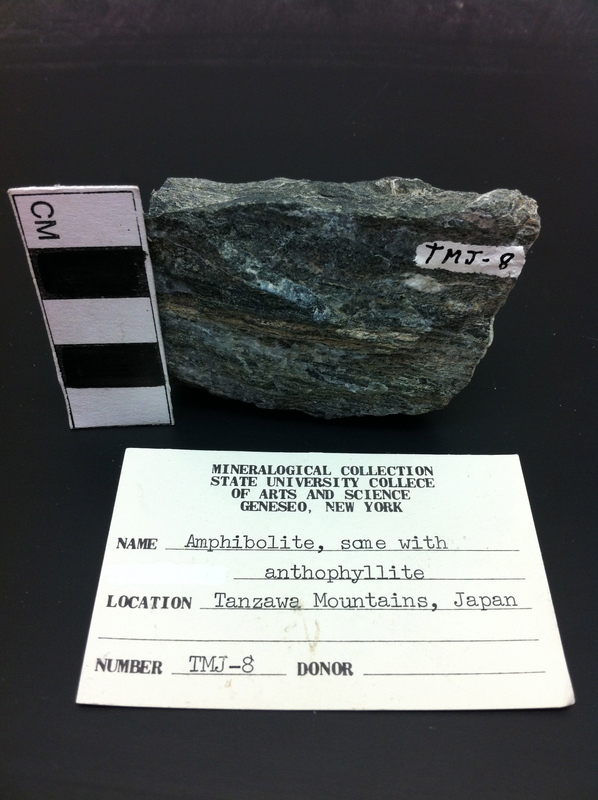 The sample is aphanitic and possesses micro-folds. 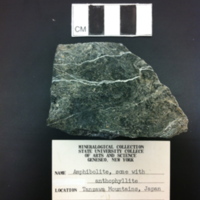 The sample appears to have experienced some banding and rippling foliations. 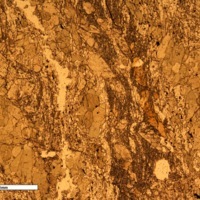 There is some evidence of chemical weathering which is dark brown orange in color. There is some talc or ash-like residue on some sides. It has a silty texture. 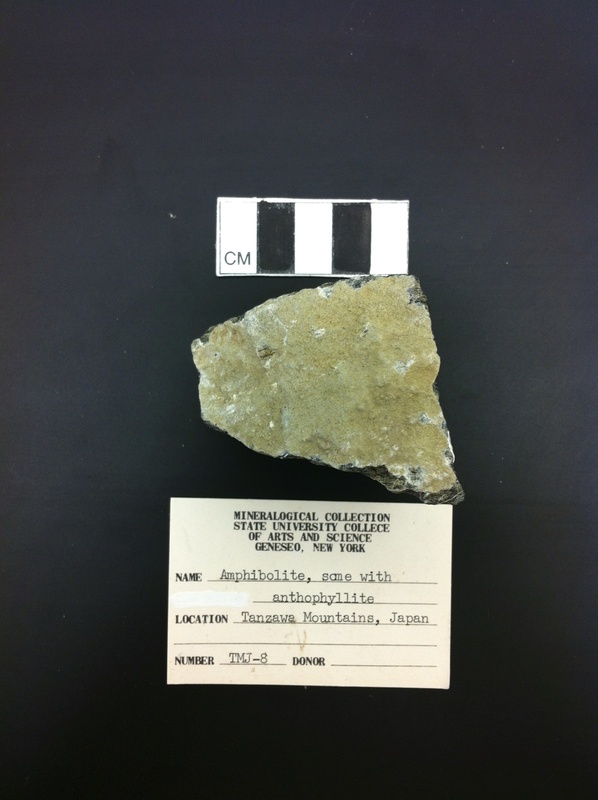 The sample is hypocrystalline with very fine sized glass crystals. 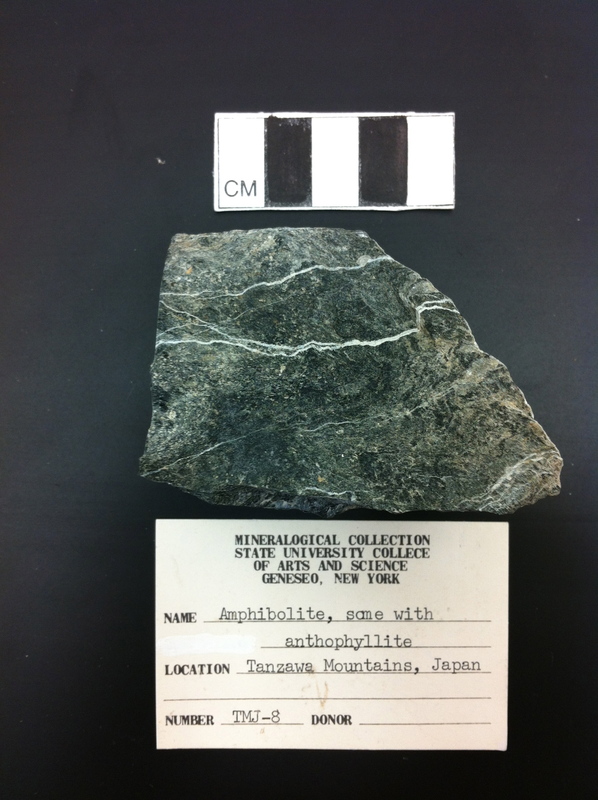 There is evidence of high-grade metamorphism. It has very fined grained grains especially under the microscope. The sample experiences micro-banding, micro-veins and micro-fractures. The tan rough filament on the outside of the sample is made up of calcium, silicon, aluminum, oxygen, carbon. There were small signals of iron, potassium, and magnesium as well. 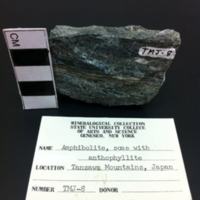 “Amphibolite, with some anthophyllite,” Geneseo Geoscience Collections, accessed April 25, 2019, http://www.geosciencecollections.milne-library.org/items/show/347.